swissmiss | What are you? Found this over on Red’s photostream. Can anyone point me to the original source so I can give proper credit? I do not think that is the original. Trying to find it. The first time I saw it was on BuzzFeed. I’m not sure if that’s the original or not. I loved it too! So much so I blogged it too. :-) Only I used the less-frilly font version. It comes for the Great White Snark blog. 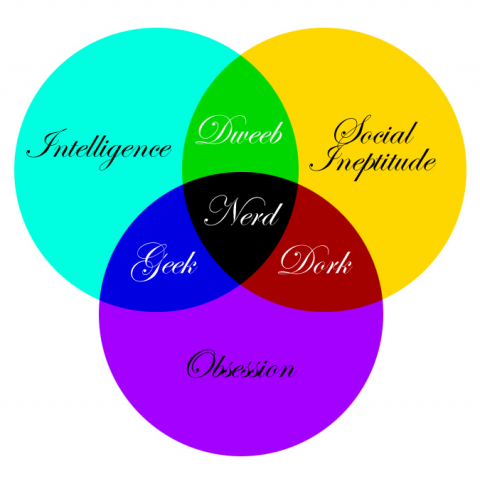 i always knew i was a geek. It’s quite tough to know where it appeared first. GreatWhiteSnark is regularly credited, but then it isn’t the oldest date you can find for it. The first time I saw this graphic was at a talk by Michael Lopp, http://randsinrepose.com/, at Webstock in ’09. Might be where credit is due.